More and more people now don't drive. There are a few reasons for this, ranging from the fact that in many larger towns and cities it is easy enough to get around without a car, through to the higher cost of living meaning that the expenses associated with owning, running and parking a car are something more people are happy to forgo. Where for older generations learning to drive and passing their test was a normal part of growing up, now, many people make it well past the age of 17 without taking driving lessons. 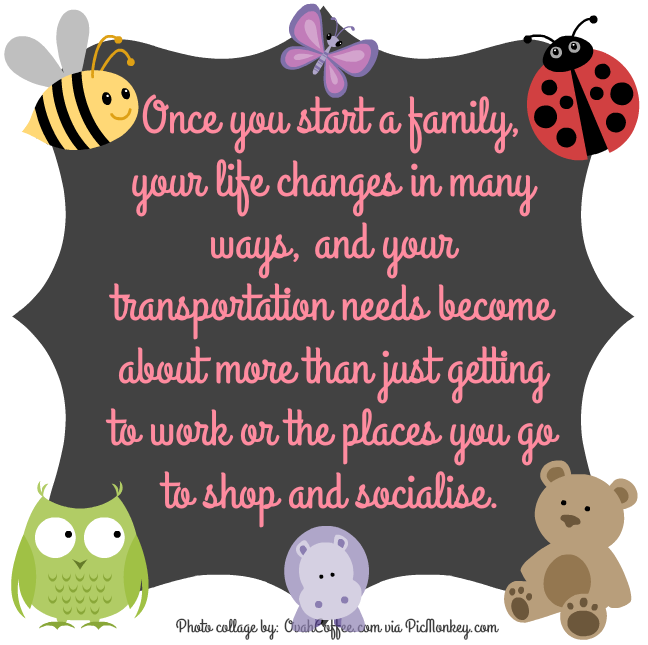 Of course, once you start a family, your life changes in many ways, and your transportation needs become about more than just getting to work or the places you go to shop and socialise. This is when, even in a major city, not being able to drive can start to feel like a disadvantage. Here are just three of the reasons why driving can make life with kids easier! Using Public Transport with Buggies Is Hard! No matter how lightweight or easy it is to fold your pram, buggy and other child carrying gear, using it on buses, trains or the tube can be a real struggle. There isn't always room, and you may have to walk a long way with them before you even reach a station or stop. With a car, you can take your own time to put everything you need in the vehicle, strap your kids in safely, and leave straight from your home. If you are worried your child is sick and needs medical attention, or they have been injured, then waiting for a taxi, public transport or even an ambulance can be far more stressful than being able to take your child straight to the hospital or doctors yourself. Being able to drive can be almost as useful as knowing first aid when it comes to having the peace of mind that you can handle things if an emergency situation arises. Convenience and safety are not the only reasons why driving can make life with kids better. Consider that if you don't have the hassle of coordinating long train journeys with your children, you can take them on far more interesting days out, trips to see family in other areas of the country, and holidays. Spending time having fun experiences together is one of the best parts of having kids, and travelling around is educational for them too. By being able to pack up and go on trips easily and without the surprisingly high cost of trains, you'll have some great ways to fill weekends and school holidays with interesting adventures as a family! It is never too late to learn to drive, and with resources like Top Tests that can help you prepare for your theory, it needn't be too difficult either. Why not start learning and make having the freedom of a driver's license something your whole family can enjoy?